Attention all musicians near and far: Artist applications for the 2017 SXSW Music Festival are now open. Apply to be considered for an official performance in the leading global music event of the year. Visit Sonicbids – the official SXSW Music Festival application platform – to complete the application and create or update your Electronic Press Kit. 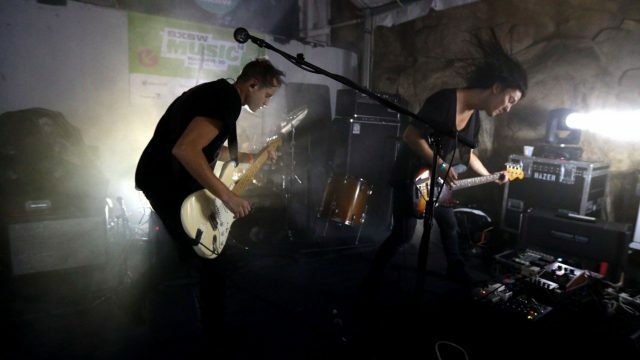 Beyond applying to SXSW, Sonicbids connects artists to a vast network of promoters and booking agents helping you score other gigs and events all year round. The fee is currently $55 through the final application deadline on October 21, 2016. Official showcasing artists play to an audience of influential music industry professionals, including record labels, booking agencies, management and PR firms, publishers, members of the media, fellow musicians, brand partners and fans alike – tens of thousands of whom attend from all over the world expressly to discover new music. Talented and serious artists looking to enhance their career, promote new endeavors, increase their professional network and reach new followers will find this and more at SXSW. Please visit the Showcase FAQ page for more information about performing at the 2017 SXSW Music Festival, and visit our Showcase Applications page to get started. For those of you thinking about attending SXSW 2017, badges and hotel rooms are now on sale at $400 off the walk-up rates. SXSW takes place March 10-19, 2017 in Austin; the Music Festival takes place March 13-19, 2017.